This meeting is part of the UK-Israel Synergy Programme, sponsored by the British Council and organised in partnership by King's College London and Tel Aviv University. 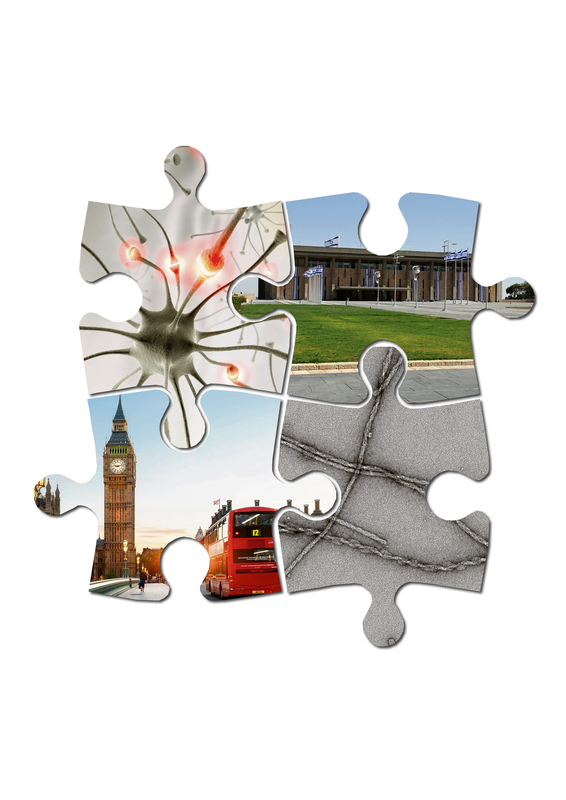 The aim of the symposium is bringing together the top UK and Israeli scientists working in different fields of Neuroscience related to ageing diseases and neurodegeneration to share new ideas and their latest results to develop complementary ways of thinking. It will cover a large variety of aspects of protein aggregation in ageing and neurodegeneration, from basic biology to drug development. Development of new approaches to drug design. This event will provide an important occasion for confrontation and a reference forum to promote new collaborations. The personal, face-to-face interactions created during this meeting will be essential for increasing scientific communication and establishing new long-lasting collaborations. The goal is not only to learn more about cutting-edge research on protein aggregation in neurodegeneration, but also to create a marketplace of ideas and tools for a more global approach to neuroscience. For more information and to register for the event, please click here, or click here to visit the event Facebook page.